Subway is a restaurant franchise based in America, with its corporate office and headquarters in Milford Connecticut. Doctor's Associates, Inc. is the owner of this franchise with restaurants across ninety-eight countries. The company primarily sells salads and submarine sandwiches. The signature varieties offered by the restaurant chain include Subway Club, Roasted Chicken, Subway melt, Tuna, Italian B.M.T, Steak & Cheese, Chicken Teriyaki, etc. The company also offers English muffins, breakfast sandwiches, and flatbreads. The menu on offer at different locations depends on the region where the restaurant is located. It is also known for its use of nutritional content in its recipes. There are currently 3 consumer reviews about Subway available. Share your review. I am well was an employee at subway on west lafayette store number 1461 and i had been sick and throwing up and the made me work two nights while i was still throwing up and im not happy bout that because if they really cared about their customers they should not let me work. I figure u guys would like to know this. Went to Subway in Eastvale, Ca.92880 The floors were dirty the tables not clean. Just plan nasty, Why don't they try to keep it clean? I drive down to Vineyard Village and the same thing. Are your managers to lazy staying in the back massing around. I'm not trying to be insulting but if your customer are failing to come in you should should try and see why? I have a little proof to my words. I like Subway we buy from you often. But seeing these place none kept changes my mine. What goes on in front goes on in back. 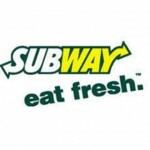 Please take a note that you are about to post a public review about Subway corporate office on CorporateOffice.com. This review will be public, so please do not post any of your personal information on this website. If you would like to contact the corporate offices of Subway, please use their contact information such as their phone number, website, and address listed above to contact them. However, sometimes staff from Subway headquarters do read the reviews on this website.